Meet four remarkable individuals, each of whom received a doctorate honoris causa at Purdue's May 2007 graduation. An alumnus of Purdue's School of Civil Engineering, Bob Bowen has distinguished himself in the construction industry as the founder and owner of Bowen Engineering Corporation, a multimarket company specializing in water and wastewater treatment plants and energy utility construction. Based in the Indianapolis area, the company works in 15 states in the midwest and southeastern U.S. Bowen, an authority on preplanning and leadership practices in construction, is also a founder and instructor of the Associated General Contractors (AGC) Project Manager Institute. Bowen Engineering has received four AGC Build America Awards - the Oscar of the construction industry - including one for the $57 million Lafayette Wastewater Treatment Plant Addition (in Indiana) in 2004. Along with his wife, Terry, Bowen established the Bowen Foundation 13 years ago to provide scholarships to minority students in Indianapolis to help them pursue an education past high school. About 300 students have received more than $750,000 in scholarships through this foundation. In 2002 the Bowens joined with then Purdue president Martin Jischke (see below) to found Science Bound, a program that mentors students from the Indianapolis public schools (eighth grade through high school) and encourages them to pursue careers in science and technical fields-offering opportunities to earn full-tuition scholarships to Purdue. The Bowens also provided financial support for Purdue's Robert L. and Terry L. Bowen High-Scale Performance Civil Engineering Laboratory, an $11 million research facility (opened in 2003) that allows engineers to test structures such as bridges and buildings while focusing on making construction materials safer, more durable, and earthquake-resistant. In 2005 the Bowens received the Outstanding Philanthropist Award from the Indiana chapter of the Association of Fundraising Professionals for their generous financial support of education. As Purdue's 10th president, Martin Jischke led the institution through a strategic plan that has guided Purdue toward preeminence and a fundraising campaign that raised more than $1.7 billion. Born and raised in Chicago, Jischke received his bachelor's degree in physics from the Illinois Institute of Technology and earned master's and doctoral degrees in aeronautics and astronautics from MIT. Before coming to Purdue, he served as faculty member, director, dean, and interim president at the University of Oklahoma; chancellor of the University of Missouri-Rolla; and president of Iowa State University. Jischke joined Purdue in 2000, placing a high priority on improving the institution's ability to support economic development in Indiana. He regularly visited communities throughout the state to meet with business and government leaders in order to find ways to improve Purdue's ability to cooperate with local and regional efforts. In addition, the Jischke presidency brought the most intense period of new construction in the history of the West Lafayette campus. Since August 2000, more than $780 million in new facilities have been completed or initiated or are being planned. The centerpiece of these efforts is Discovery Park, a $300 million research and teaching complex designed to focus on interdisciplinary projects and to bring new ideas to the marketplace as efficiently as possible. In 2006, Jischke was appointed by President George W. Bush to the President's Council of Advisors on Science and Technology. He has also served as president of the Global Consortium of Higher Education and Research for Agriculture; as a member of the board of directors of the National Association of State Universities and Land Grant Colleges, Campus Compact, and the Association of American Universities; and as a council member of the National Academies Government University Industry Roundtable. Over the course of 50 years, Raymond Viskanta's research as a Purdue faculty member in mechanical engineering encompassed a wide range of topics in convection and radiation heat transfer, contributing significantly to Purdue's position as a leader in the field. Viskanta lives in West Lafayette, Indiana, but his journey to Purdue was challenging. Born in Lithuania, he moved with his family in 1944 as the front lines of the Soviet-German conflict approached the family home. Settling in Germany, the family moved to displaced-persons camps in West Germany after the war ended and emigrated to the U.S. in 1949. Viskanta earned his bachelor's degree from the University of Illinois and then started graduate work at Purdue in heat transfer, earning his master's degree in 1956. He started his mechanical engineering career at Argonne National Lab and, thanks to a U.S. Atomic Energy Commission Fellowship, returned to Purdue to work on his doctoral degree, which he completed in 1960. Viskanta joined Purdue's faculty as an associate professor of mechanical engineering in 1962, becoming the W.F.M. Goss Distinguished Professor of Engineering in 1986. He has received recognition over his career not only because of the unusual quality and productivity of his research but also because of its expansive breadth. He is published in more than 50 journals in the U.S., Europe, and Japan. Vern Weekman has distinguished himself as a leader in the energy industry, having developed key technologies, guided a new commercial venture, managed research for a major corporation at every level, and taken national leadership in his profession. Although most of his career was spent in Mobil Oil Corporation, Weekman most recently has served as a faculty industrial fellow and visiting lecturer at Princeton University. 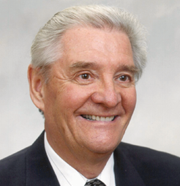 He earned his bachelor's degree in chemical engineering from Purdue in 1953 and a master's in chemical engineering from the University of Michigan the following year. 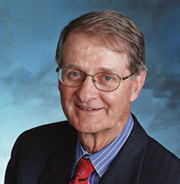 Weekman started his career with Mobil in 1954, served in the U.S. Air Force from 1955 to 1957, and returned to Mobil for 40 years, earning his doctorate from Purdue along the way in 1963. His work in the early years of his career is credited with establishing Mobil Oil's international leadership position in the catalytic reforming of petroleum. Models he published during that period are still cited today as examples of how to treat complex systems. While at Mobil, he published 33 papers and received 11 patents. He was elected to the National Academy of Engineering in 1985. Weekman spent five years as the first president of Mobil Solar Energy Corporation, leading the venture to bring brand-new technology to the marketplace, a mission that required not only a dramatic change in technology and science but also a new intimacy with entrepreneurship. His success at Mobil was balanced with his effective service as president of the American Institute of Chemical Engineers in 1998. 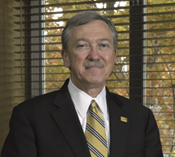 Named a Distinguished Engineering Alumnus by Purdue, Weekman also served as a founding member of the New Directions Industrial Advisory Council of Purdue's School of Chemical Engineering from 1990 to 1997.